singapore | retail must burn! 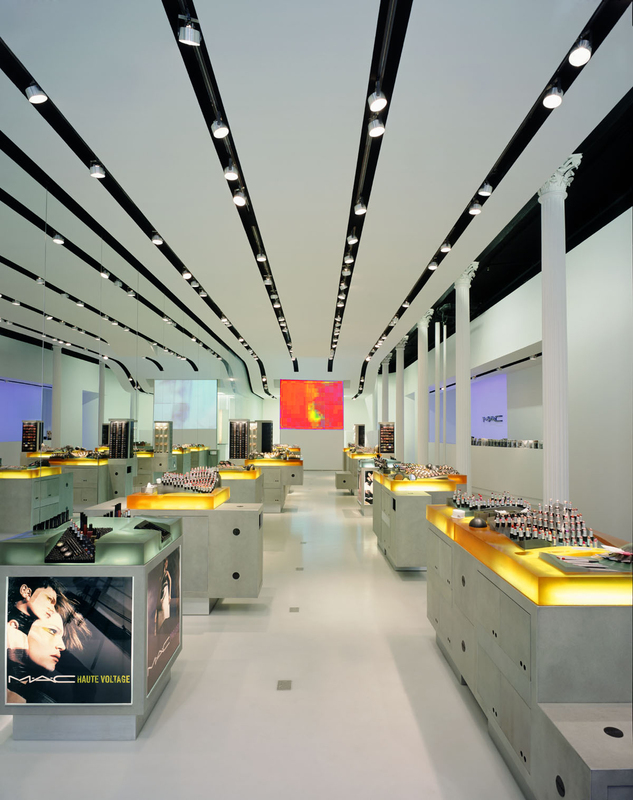 It is no secret that in store design way guiding is of utmost importance. There is a whole science behind when and how customers make relevant decisions and what way they are taking through stores. The way customers navigate a store can not be left to coincidence even though all research and studies can never prescribe all the possible options a customer path can have. Because the goal is to get a customer interested, excited and emotionally connected to your brand to buy your product you have not yet won by bringing them into the store only. You must keep them interested all along the way. 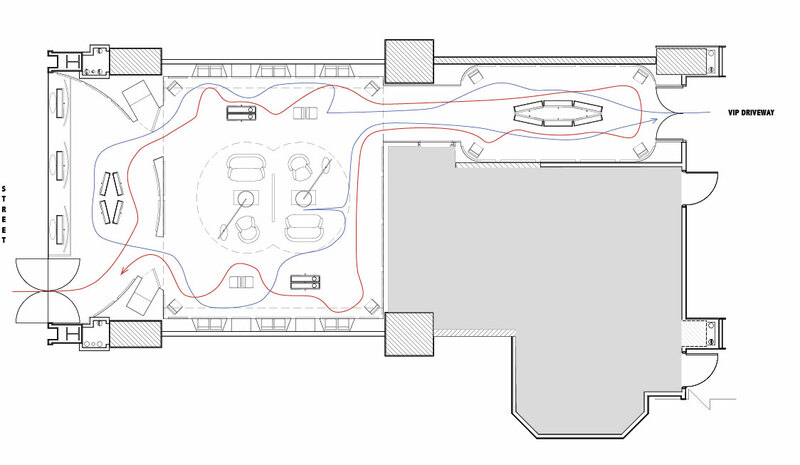 As strategic planners for retail environments we follow a simple rule that has given us much success: we build a sequence of visual attractors throughout the store that pull the customer through the space. Visual stimulants are created to keep the interest up and raise the emotions when detected. They play with the ideas of discovery in the sense that the customer is seduced to come and see it from close up. They must be easily detectable, so ideally setup by themselves in high contrast. Lighting plays a big role in making them stand out from the crowd. 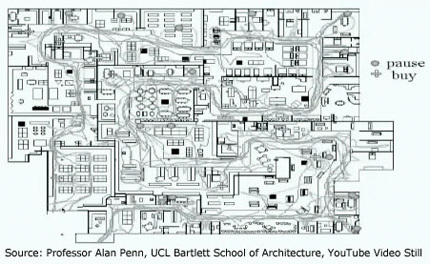 When setup as multiples in sequence, it creates a controlled physical movement through space. Important is the first point of interest to engage the customer in the journey. If visible through the entrance door it can also create the most important customer movement: entering the store. 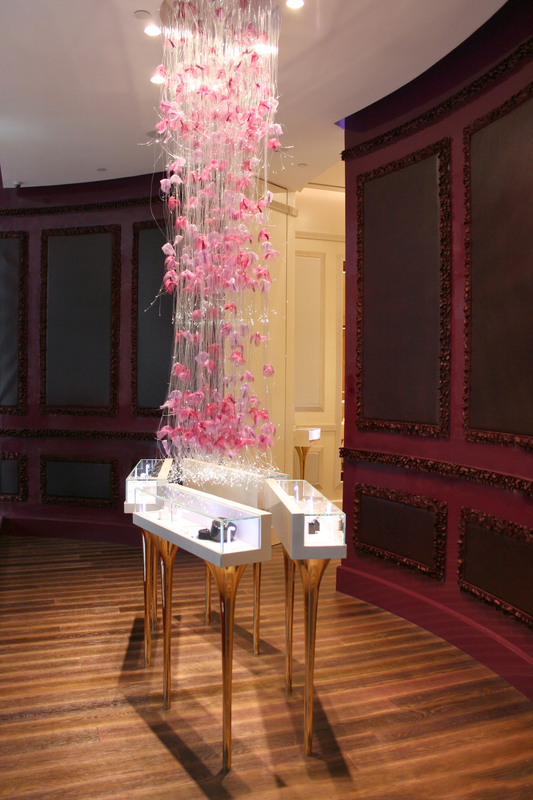 In this example a big statement was created with a cascading chandelier (light and height support the concept of attention grabbing) over product displays to create interest from outside in and lead the customer on a discovery path. Before they know they are engaged into the choreographed experience through the store. “what am I looking at”? One of the most important questions for every shop owner is: how do I get customers to come into my shop? I would like to analyze two very different strategic approaches on how a storefront design can support a potential customers decision. 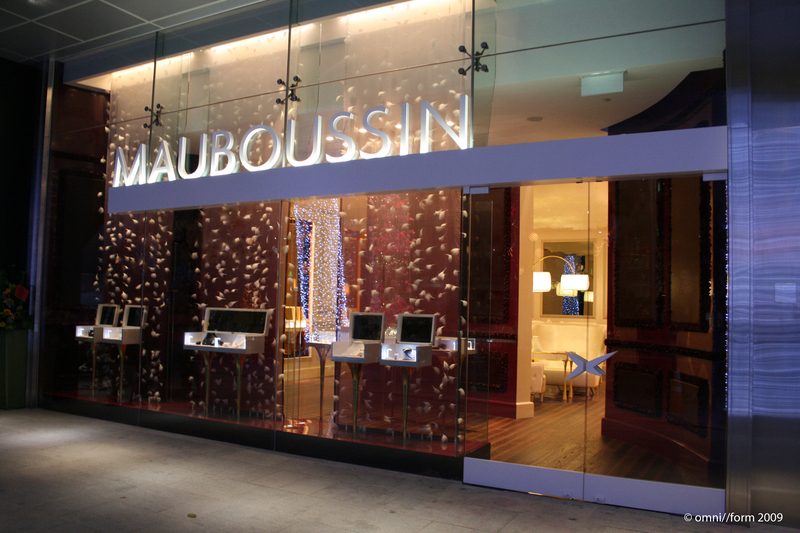 The first storefront example is the one of the stores omni//form designed for French jeweler “Mauboussin” in Singapore (see previous post for more on that store). First we took a very atypical approach to the storefront by making it floor-to-ceiling glass. Jewelry stores are usually closed off or “shielded” to convey secured value and provide privacy to a customer, who is ready to spend money. This brand’s aim is to deconstruct that old fashioned notion and instead to reposition itself as being fashionable, young and accessible. The openness of the facade is the first tactic to convey this message. The second tactic is the logo. It’s the far communicator. Its size is readable from across the street. 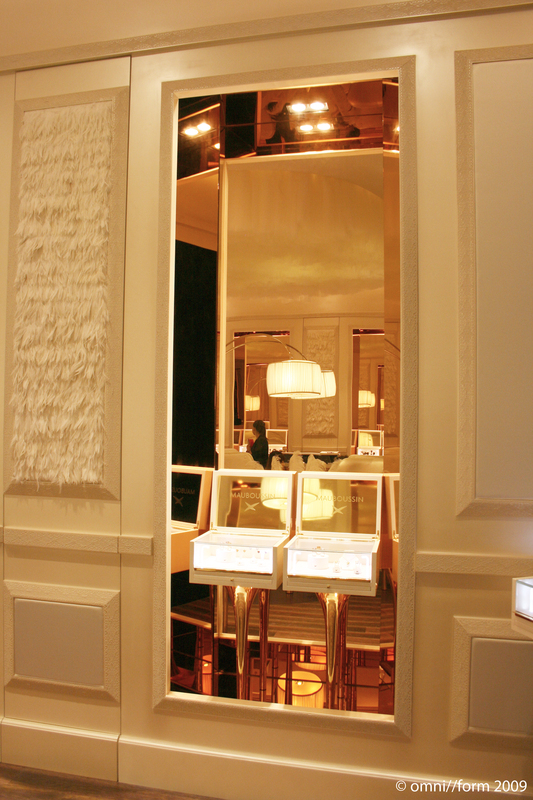 It sits on a bar that not only illuminates it for better reading but that also guides the eye to the entrance door. The logo acts as an underlined title to the display window area below. 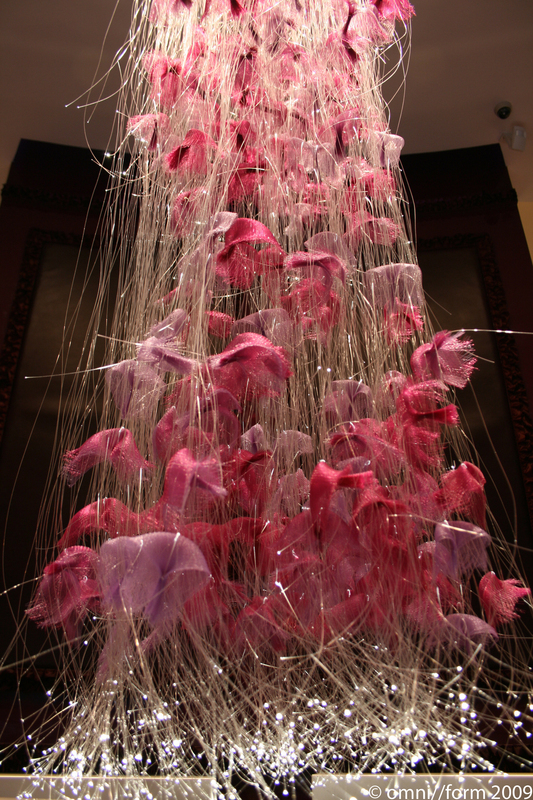 1-The immediate window display plays on the notion of discovery. Open displays -“treasure boxes”- are setup for discovery and tease the viewer with select merchandise. They are internally lit and thus each create a highlight that draws attention. 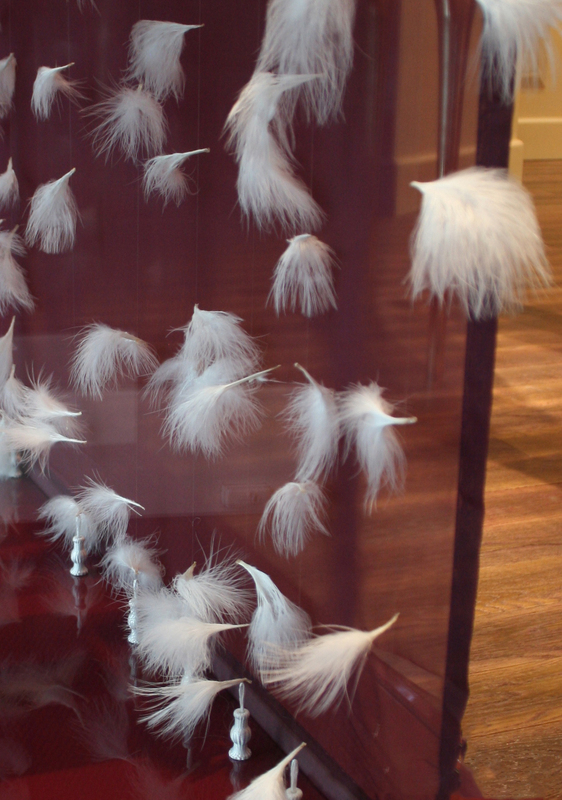 2-The feather curtain acts as a back drop to the window displays to isolate them out of the interior context but simultaneously allows a peek into the vestibule of the boutique because of its sheer quality. The space behind is conceived around a central cascading chandelier fixture over product displays, which serves as focal point. This visual magnet can be “previewed” from outside to generate interest and desire to enter and explore. 3-The interior of the store can be glimpsed at from outside through two openings from the vestibule. This is crucial for a jewelry store that would typically suffer from what I call “threshold angst” as a hesitance to enter in fear of being engaged with an environment that does not suit the customer’s financial status. In this case the guard is down and customers can see what it is like inside, deconstructing the angst upfront. It also re-enforces the notion of an all inclusiveness supporting the brand message of accessibility. The overall theme for this design was accessibility and discovery in a attempt to recruit a broader customer range. A very contrary example to this is a store front we designed years earlier before the brand decided to change its positioning. This store was built in New York, on Madison Avenue. 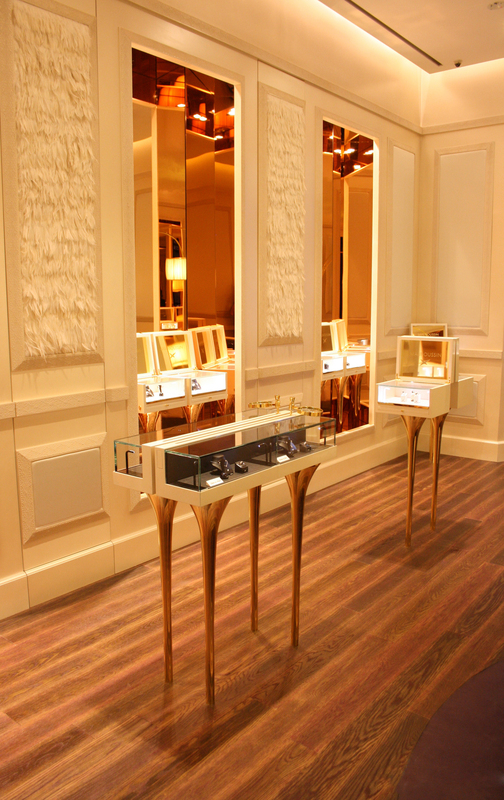 The aim was to convey exclusivity and a secure environment for precious goods. It was in line with the expected customer in this neighborhood, where the most exclusive stores settle and people come to spend money. Here the logo was reduced to a decent hint to communicate exclusivity. The storefront communicates a curated selection of merchandise but does not offer additional layered information. 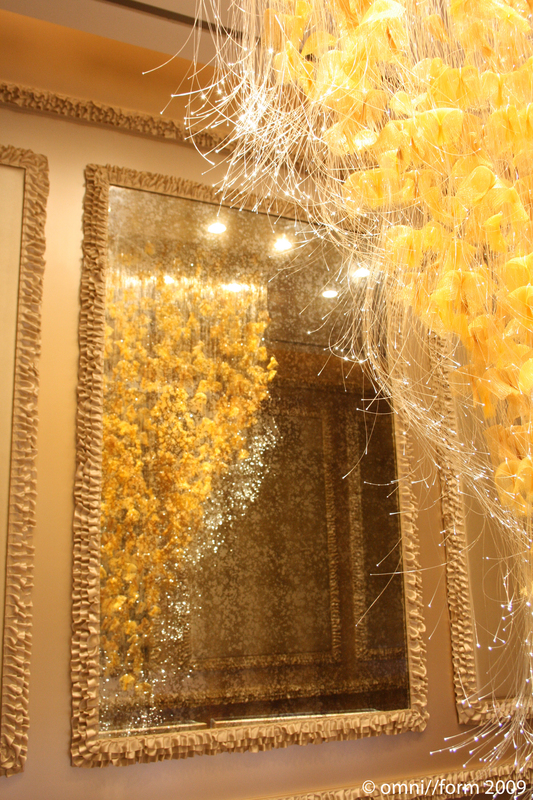 The inside of the boutique remains an experience to explore for the ones who dare or belong. 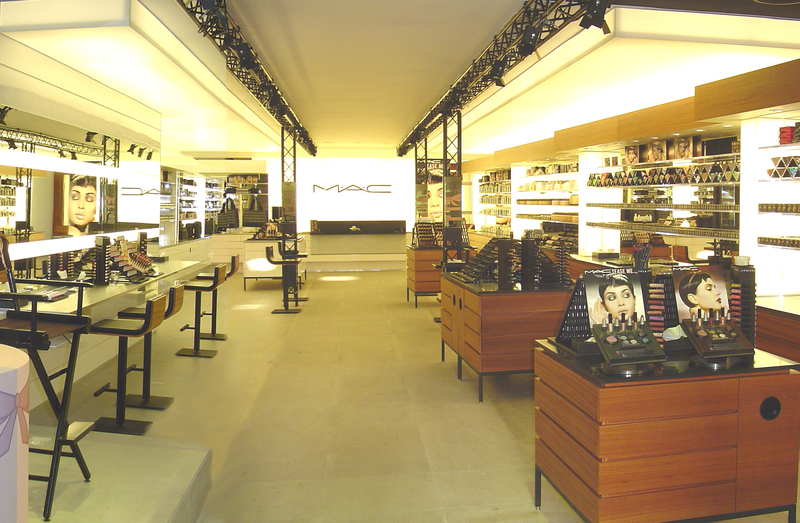 The entrance is marked by a bright and sparkling opening in the otherwise dark store front. Full glass doors offer a peek into a glitzy vestibule, which leads the way to the real entrance door further in. The passing of two door thresholds was introduced to re-enforce the ideas of safety and privacy. 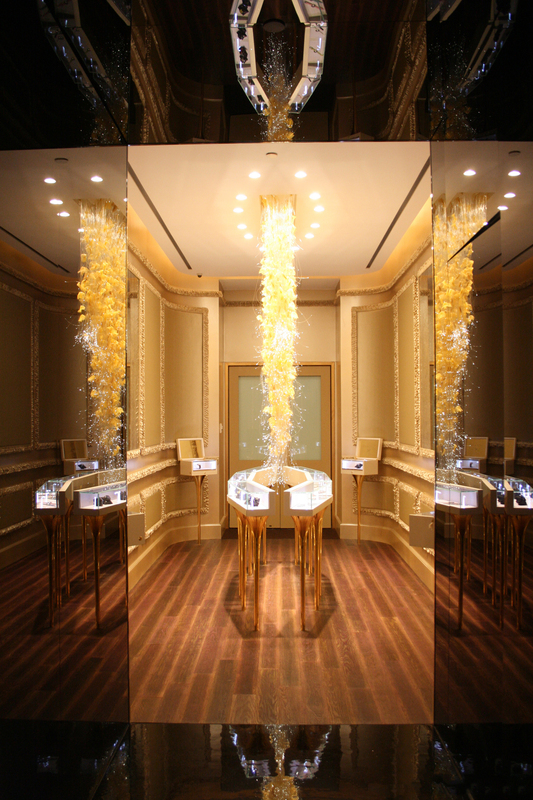 The shop window displays draw attention similar to the first example. Bright lights create contrast and highlights for the eyes to fall on. Brand iconic treasure boxes are opened up for discovery. Here is where the brand communicates its offering. 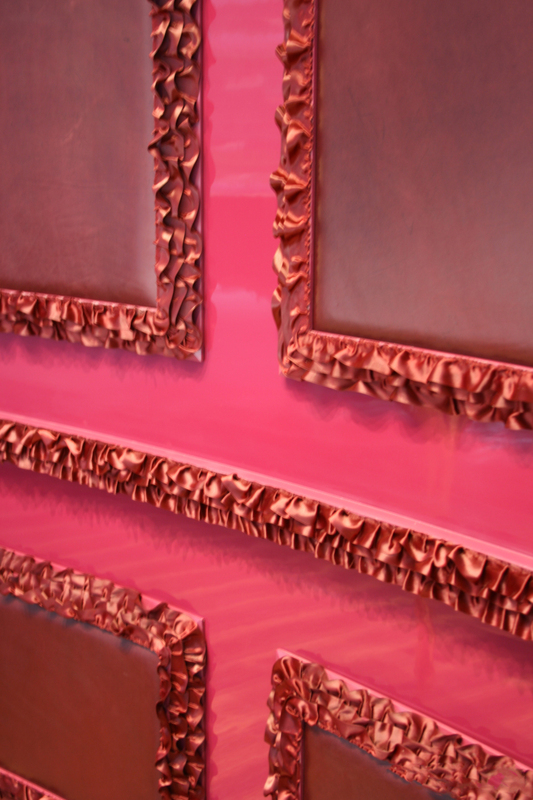 But additional information is very limited: cropped openings in the back drop around the displays allow for a peek into the vestibule behind and the ones, who look carefully through the center opening, as it aligns with the entrance door behind, are rewarded with a peek into the boutique. The goal was to raise interest and desire to explore the tease. The theme in this example plays on intriguing luxury for the Madison Avenue customer. Both examples show how strategic design tactics can create very opposite effects while achieving the same goal: to get customers into the store! 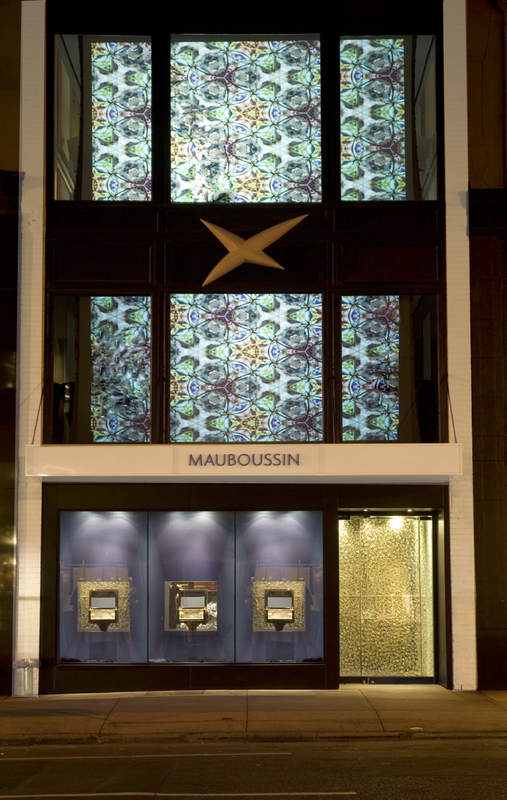 When French jewelry brand Mauboussin asked us to take the brand new retail experience concept we had created for their Madison avenue store to Singapore for a new flagship store, we knew we had to make some adjustments.The democratization of fine luxury, as the brand had initiated it in France to reach a wider demographic, seemed not to be the appropriate strategy for the local market in Singapore. Instead we felt that a more successful direction was to turn up the volume on the exclusivity and the french heritage, both aspects that seem highly valued by the local affluent customer. 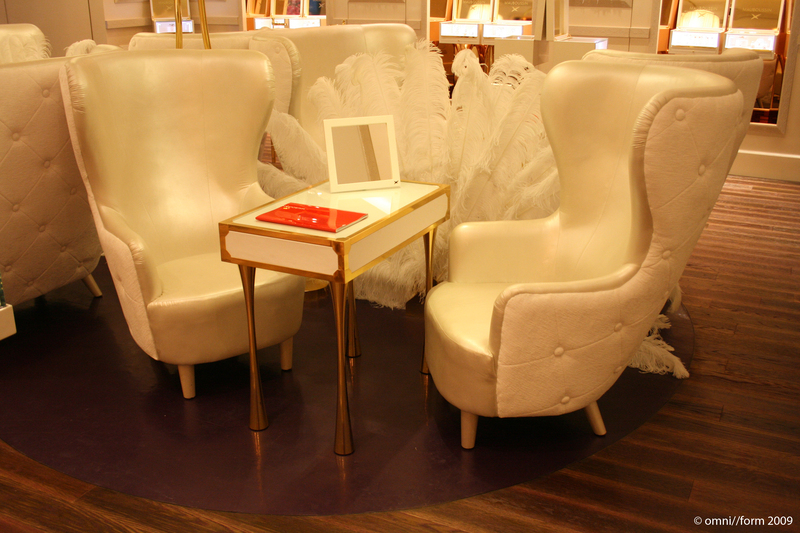 So we put personal customer service at its center and created an interior that is reminiscent of a french palais. But it would not be recognizable as Mauboussin, if it did not have twisted moments of surprise and playfulness in the details. 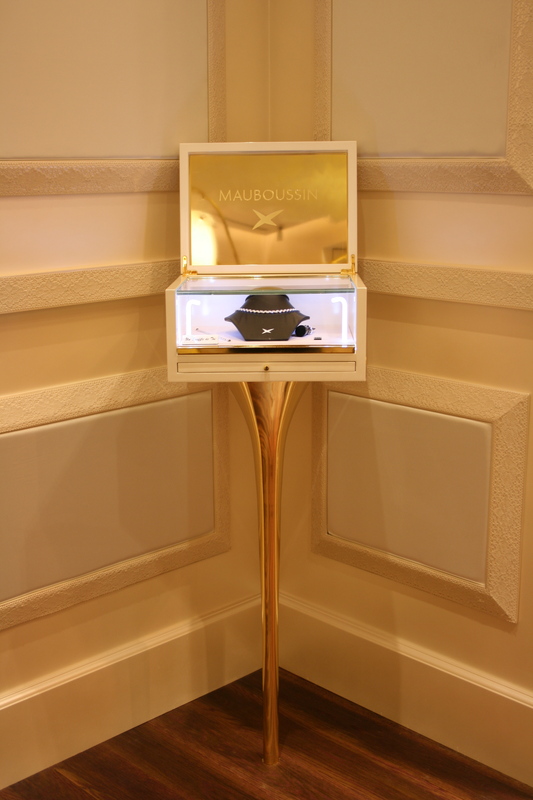 In the end it is as important to show that Mauboussin is a french luxury heritage brand with a very young and fresh spirit at heart. 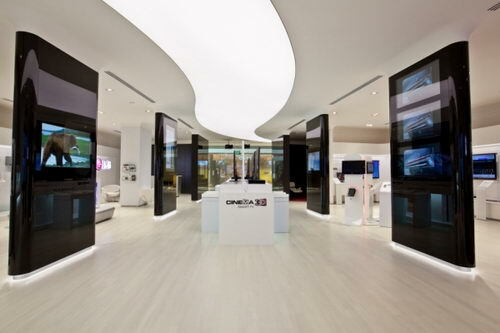 A good example of how design can help leading customers into a retail space can be experienced in the new LG concept store in Singapore’s Marina Bay. 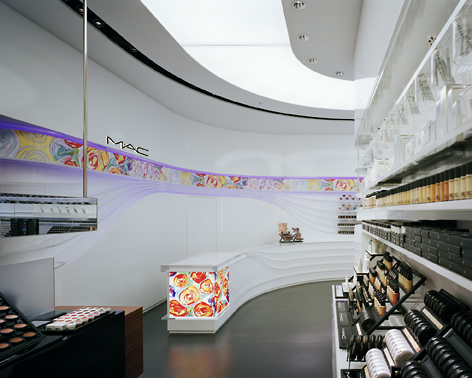 The dynamic ceiling feature brilliantly leads the way, organizes space and helps orientation while illuminating the path for the customer. Done by Design Firm STOREAGE from Amsterdam, NL.